From the Daily Democrat, Clinton Missouri, Feb 21 2003 - Carl W. Barnum died at 5 p.m. on February 14, 2003 at his home in Rockville. He was 77 years old. 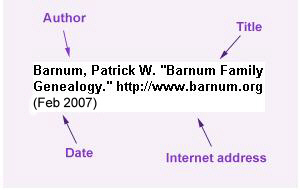 Mr. Barnum was born in Chanute, Kansas on April 4, 1925, to Omar T. & Vera Newton Barnum and was the fifth of seven children. He was preceded in death by his parents and three brothers. He is survived by two sisters and one brother, Juanita Berger and Doris Redford, both of Clinton, and brother Orval T. Barnum of Eagle Rock. Carl also leaves behind Venita Barnum of the home and two great-grandchildren, Tyler and Amber Barnum, also of the home, and daughter, Judy Riley of Rockville, and three grandchildren, Jerry, Debbie and Melissa Riley. Carl Barnum was surrounded by the love of many. His nieces and nephews are Barbara Wolf, Janet Jesley, Dennis Barnum, Paula and Roger Vannatten and their son Rogger II; along with great-nephews, Gerald, Justin and Jacob Watts of Lamar, and Stephen Moore of Indiana, Chris Moore (Air Force) stationed in Knob Noster, and Jeff Moore (Navy) stationed in Kuwait. Carl had many friends. Carl Barnum served in the United States Army during World War II and also in the Air Force during the Korean War. He was the recipient of several service medals and was a lifetime member of the Clinton VFW. He was proud to have served this great country. Funeral services were Wednesday, February 19, 10 a.m. at the Sheldon-Goodrich Funeral Home. Burial was in the Rockville Cemetery.